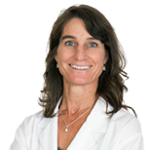 Dr. Brown received her Bachelor’s degree from the University of California at Berkeley in 1988. She received her Doctor of Optometry degree from the University of California at Berkeley, School of Optometry in 1992. She has completed two residencies in Ocular Disease, one at the New England College of Optometry in 1993 and one at the Boston University School of Medicine in 1997. In addition, Dr. Brown completed a two-year Fellowship in Eye Disease at the Pacific Cataract and Laser Center in Chehalis, WA in 1995. Dr. Brown is a Fellow of the American Academy of Optometry and a Member of the American Optometric Association. Dr. Brown is Clinical Director of TLC Laser Eye Centers of Massachusetts and Rhode Island. She is involved in clinical research and teaching. Dr. Brown holds faculty appointments at the Massachusetts College of Pharmacy and Allied Health Sciences and the New England College of Optometry.